We love spying a new brand before everyone else, mainly because we can then tell you all about it. The latest new designer we're excited to discuss? New Zealand fashion label Maggie Marilyn. The pieces are selling out fast on Net-a-Porter, which is currently the only place you can buy the brand. The modern label, which launched in September, has already seen street style star Ada Kokosar wearing the George denim frayed jacket. The frills seen on this jacket are very much the signature style of the brand, with many of the other pieces featuring similar details. 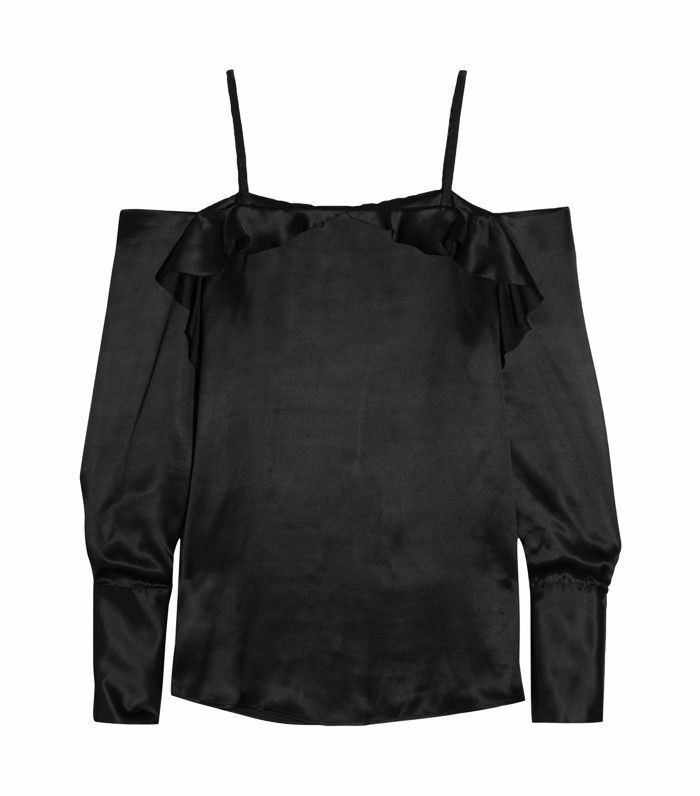 There are jumpers with oversize frilled cuffs and trousers with long hems. As well as white shirts with frilled collars. And the price of investing in such a new and covetable designer? From £95 for a top, these are some of the more affordable designer pieces we've seen in a while, which means you can guarantee they will all sell out soon. Keep scrolling to see our favourite pieces from the collection so far. Wear a white tee underneath for when it's too cold to bare your shoulders. This has already been worn by a street style star, so you know it's going to disappear off the online shelves very shortly. A classic trend is always a good idea. Stylish and affordable, could you want more? A new way to wear the flared look. Want more outfit ideas? Find out what London girls are REALLY wearing.